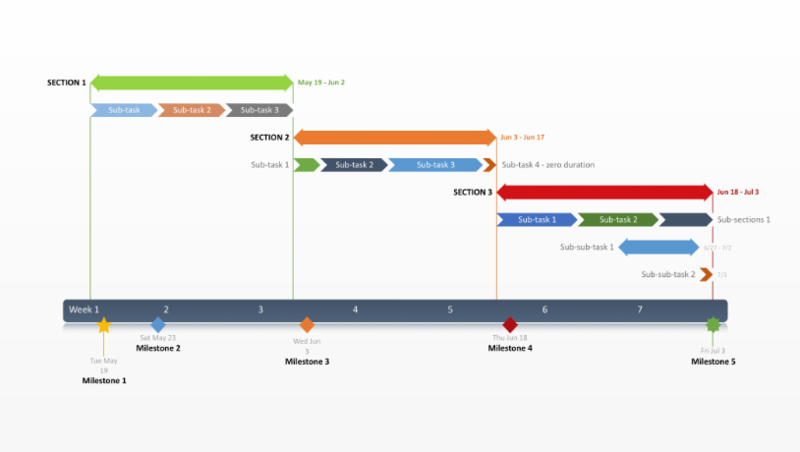 The free Gantt chart template is a better way to communicate your project. 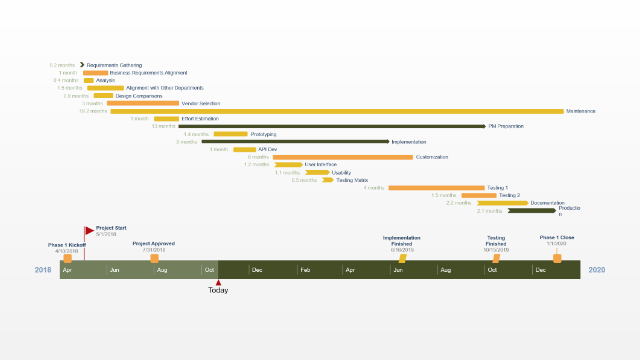 From the time they were invented, Gantt charts have been complicated, complex and difficult for non-project audiences to read. The free Gantt chart was created differently. It is visual, colorful and easy for anyone to understand. 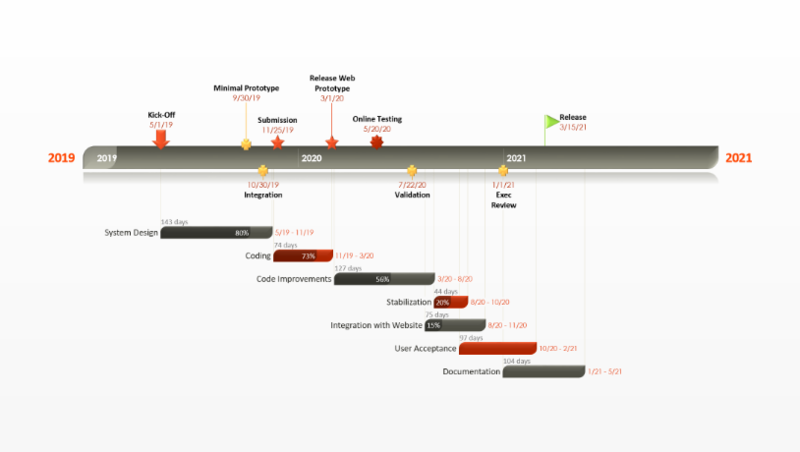 It was created to make project communications graphical and simple to read. Managing a project or presenting a plan will require that you communicate it with stakeholders and others who are not directly participating in the project. This audience does not require a deep and comprehensive Gantt chart that presents all details of the project to them. They do not have the time or desire to drill down into the depth of the project. A high level snapshot of the project communicated in a familiar way is more appropriate for your non-project audience. 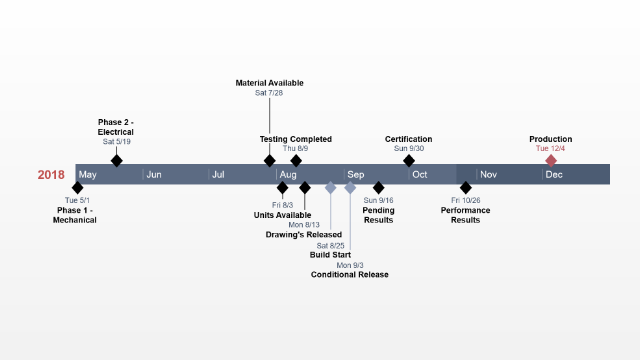 The free Gantt chart template was created for this purpose. 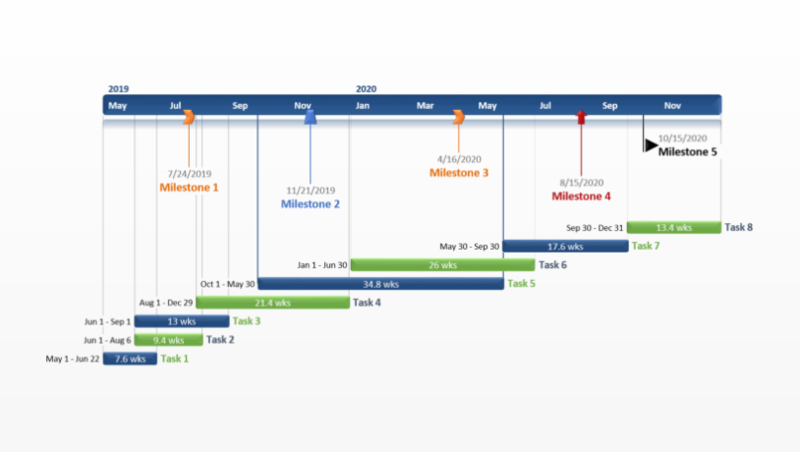 Traditional Gantt charts that get produced by project management applications or by Microsoft Excel are complicated and uninspiring for non-project audiences. These are list-based visuals which look intimidating and unfamiliar unless you have studied the Gantt chart. They are also hard to communicate in documentation or presentations and they can’t be easily edited or updated by others. Non-project audiences expect to see an overview of the project and not a complicated Gantt chart. They also want to see this presented to them in a form they are accustomed to. The free Gantt chart template is a PowerPoint slide that can easily be presented or included in any project documentation. Clients and executives are comfortable with viewing slides and using PowerPoint, so the free Gantt chart template will be easily received and read. Since it is a native PowerPoint chart, your audience can also edit, share or reuse the slide in their communications, scorecards or presentations. You can download and edit the free Gantt chart in PowerPoint. You can also easily edit it using the free PowerPoint Gantt chart maker from Office Timeline. It makes it simple to enter your project schedule and automatically adds any design changes you desire, such as positioning the time band above or adding percent complete and task duration counts to your tasks.